For the 2017-2018 season the State Competition was divided into two days. The first evening was judging and robot inspection and the second was the robot competition. After our judging on the first day the nautilus from our launch system broke while we were testing it. We hadn’t brought a spare, so we immediately had a team meeting to decide what to do. 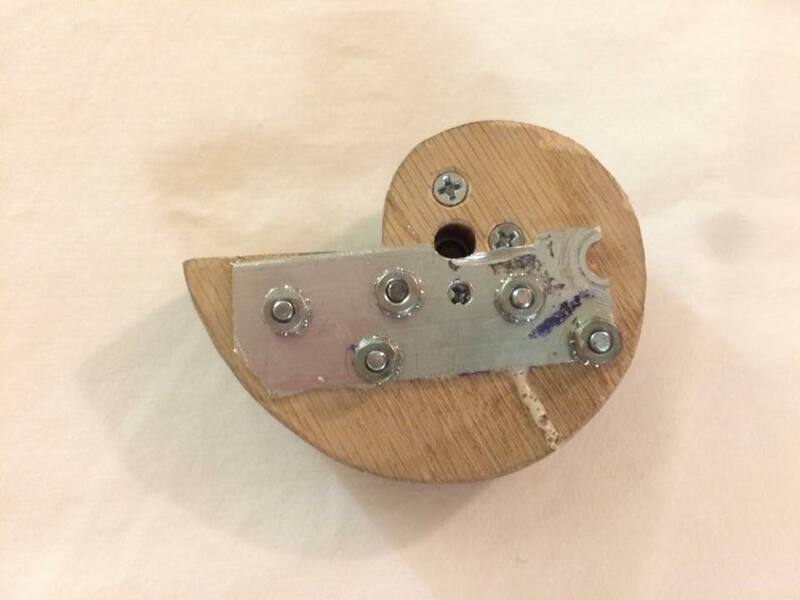 We managed to fix the nautilus the first night and to make a spare as well the next morning before the competition in case our fix wouldn’t hold. 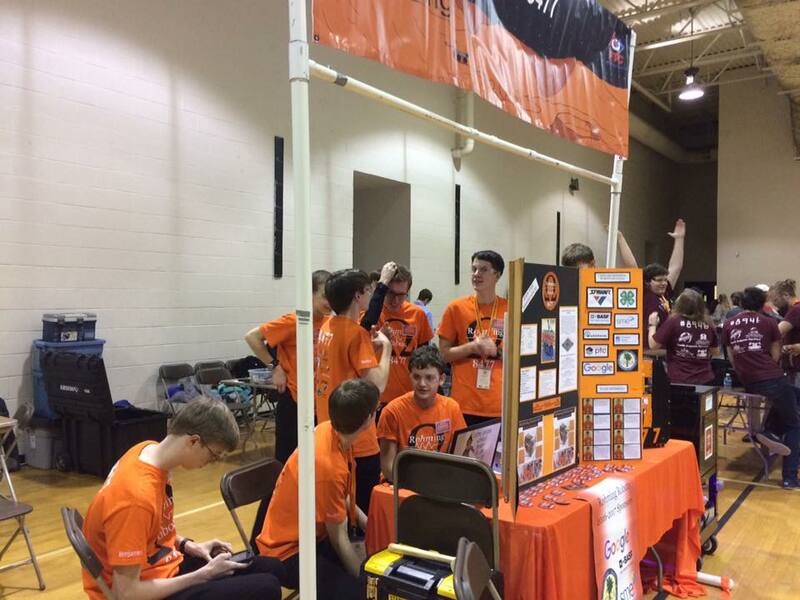 We placed fifth overall and were the first selection by the first place alliance, Team #327 Caveman with Cloud. The second place alliance defeated the third place alliance in their semifinals. We won second place in Control, Think, and PTC Design awards, as well as the first place Inspire Award. Gray was also chosen as a finalist for the Dean’s List. 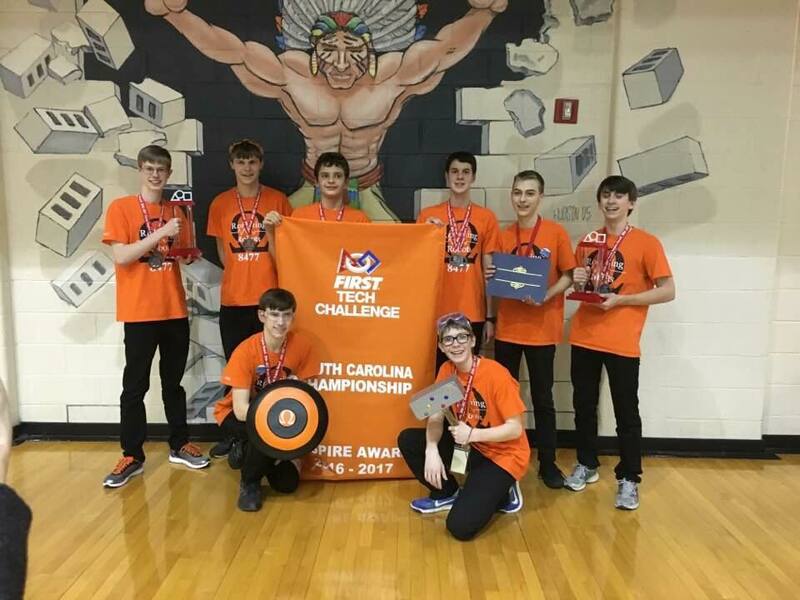 We advanced to the South Super Regional along with the winning alliance captain #327 Caveman with Cloud.